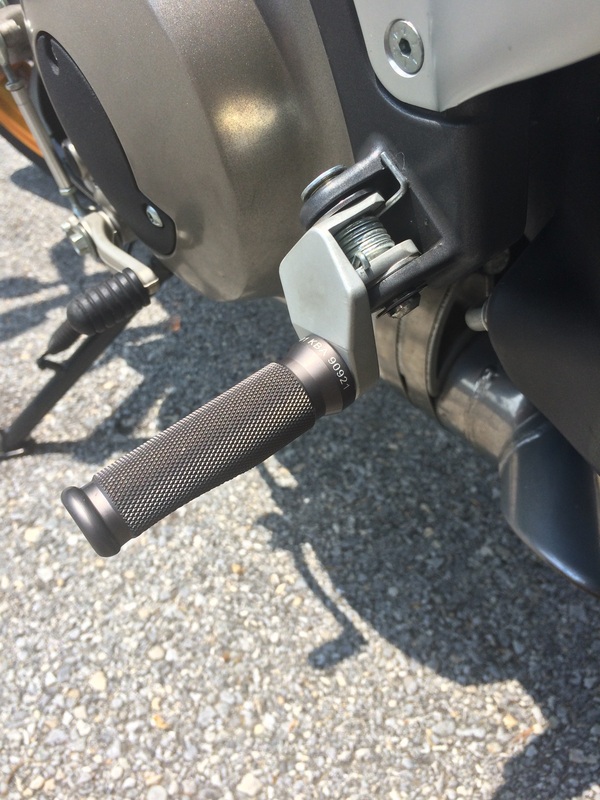 Lowered Footpegs and/or swapping Footpegs from Ulysses? 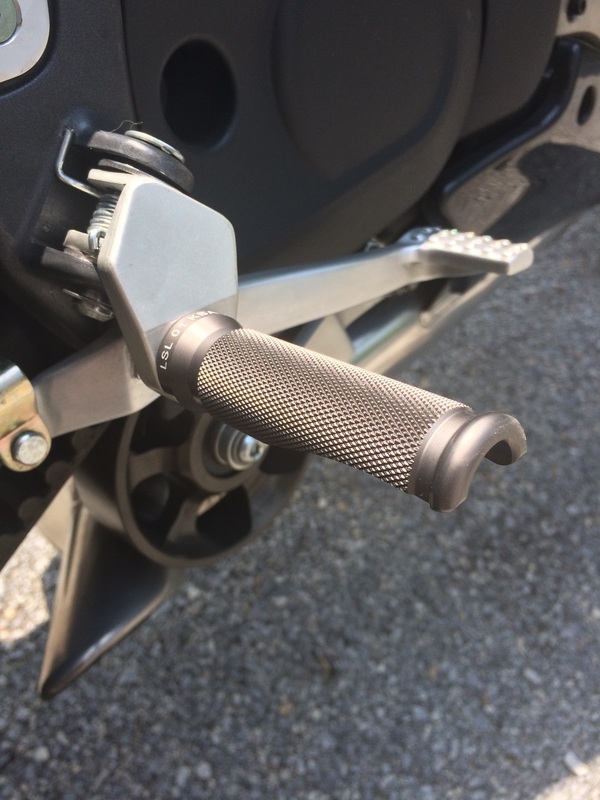 Thread: Lowered Footpegs and/or swapping Footpegs from Ulysses? Just about ready to buy an 09 XB12Ss. I see there is a 1" lowering footpeg. Does anyone know if the footpads on the Ulysses are lower and could be swapped to an xb12ss? I'm 6'1" and looking to get more leg room. Pegs on the Uly have the same drop. Check out Knight designs for a bigger drop peg. These are their 2" drop pegs. Thanks for the reply. A 2" drop wouldn't comprise the lean angle that much on this unit, would it? I had 2" drop pegs on my trackday CR and didn't have a problem. Yeah, I stepped into that one. Your experience helps inform though. I'm 6'3"-ish with a 34" inseam and even the 1" Buell drop pegs made long trips much more pleasant. I didn't have any issues with pre-mature peg grinding when laying the bike over. I recommend them! You tall people have so many issues. It's kind of funny, if your tall, you have foot peg height problems, if your short, you have seat height problems, I guess the magic bullet is to be average height or close to it. Since the ground clearances for the Ulysses is 6.75 inches and, 1 inch lower for the XT, as stated previously, I don't think you'll have any ground issue problems. Last edited by njloco; 02-14-2019 at 01:37 PM.